This evening we remember one of the great champions of jazz, John Taylor. JT, as he was fondly known, sadly passed away in July this year. He was a Visiting Artist to the jazz department at Birmingham Conservatoire for many years and along with his incredibly expertise, gave huge inspiration to staff and students alike. Tonight, students and alumni will team up with members of staff including Liam Noble, Mark Hodgson, Hans Koller, Andrew Bain, John Turville and Richard Iles to play music that was close to JT’s heart at 7:45pm in the Recital Hall. 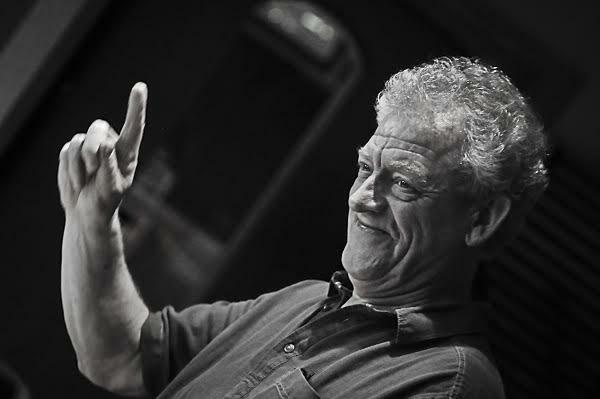 Since JT’s passing, many memories have come to light from his colleagues and pupils which all express their immense gratitude to this pillar of the British Jazz scene. Many talk about his generosity of spirit, others his unrivalled talents, others of deep-set humility. Jeremy Price, Head of Jazz, spoke at length about JT’s contributions to the Conservatoire and of his personal debt owed to the master. You can read more about that here. Come along this evening as we remember JT with music written by him and music that close to his him. The concert will begin at 7:45pm in the Recital Hall. Tomorrow afternoon (Tuesday 20 October) the Conservatoire’s Keyboard Department proudly present Yen-Ting Wang as she takes to the stage for what is sure to be a thrilling Performance Platform. The recital at 1pm brings together four composers who may not usually be put together: Haydn, Granados, Skryabin and Brahms. These highly virtuosic pieces, each for their own reasons, are sure to entertain and will showcase the range of emotions a performer must have at their fingertips. I caught up with Yen-Ting to hear about the programme and how she has been preparing for this performance. The programme for tonight is wonderfully varied. Why have you chosen these pieces in particular? I have always liked finding new music and I really wanted to give the audience a taste of something that is not so often performed. I hope to captivate them with this choice of repertoire, as much as each individual composer has inspired me throughout this process. Is there a connection between them, or is it just for variety? There isn’t really a connection between these pieces I must confess, apart from the idea of improvisation perhaps but I have chosen some very virtuosic music. Finding the right pieces that get the audience to step into the realm that connects us with music is really hard, so I hope to get some of it right. Does having such a range of styles not unnerve you as a performer? Yes, definitely. I always get quite nervous anyway, but trying to constitute many different temperaments or feelings within just one performance is challenging in this case its between Brahms and Granados. You are collaborating with Naoko Senda and Ruri Kuroda for the Brahms Trio. Have you worked with these players before? No, we haven’t known each other that long; it’s an honour to play in an ensemble with them. They have such high talent and have clearly assimilated their ensemble playing being in Klee quartet together also which is great. I have learnt so much since working with them. How do you find performing chamber music effects your musical approach? I have found that chamber music requires plenty of listening and working as a unit obviously, but trying to imitate someone else’s sound as if to copy them, I have found this as important when playing with others. This has helped me when listening to pianists to observe to the overall sound and not just to the individual melodies and lines. You’ve performed and studied all over world. What is it that brings you to Birmingham? I was attracted to Birmingham to begin with as I had heard there were plenty of opportunities to perform and the support network in and around the conservatoire has been great. If you had to choose, what would be your favourite piece of music? At the moment I’m listening to Brahms Piano concerto No.2. Simply because it’s so beautiful, you can hear that Brahms wrote very logically connecting every phrase smartly. What has been your favourite musical experience to date? Robert Levin’s recent masterclass was very inspiring and full of fun. People always have a stereotype of the classical period, he, however brought in an abundance of knowledge emphasising how to interpret music in that time. He is very constructive but plays so creatively giving him freedom because of his in-depth understanding of style. Do you have any future performances coming up that people could come to? Yes, I’ll be playing Brahms Piano Trio No.3 and Smetana Piano Trio in St. John’s Church, Notting Hill, London on the 26th Oct. 18th November; St Mary’s Church, Acocks Green, Birmingham, again Brahms Piano Trio and Debussy Piano Trio in G Major. I’m also dedicating a lot of time to collaborative work. Currently playing Mozart ‘s Piano Trio with clarinet and viola. For the next programme, we plan to do Brahms op.99- Cello Sonata No.2, op.100- Violin Sonata No.2 and op.101- Piano Trio. We are all looking forward to it! You can find out more about Yenting on her website or SoundCloud.